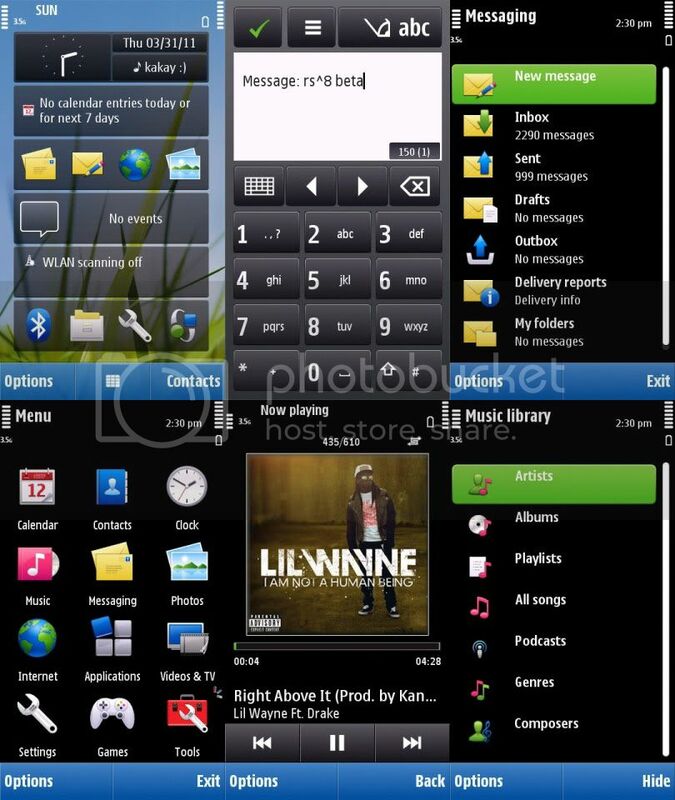 Nokia 5800 - RM-356 C6 v20.0.043 - rs^8 final v52.0.101 Core N8 Icons! rs08 CFW aims to provide great and efficient custom firmware for nokia 5800 xpressmusic WITHOUT losing original nokia look and feel. v52.0.101 core + uda core filename is RM-356_52.0.007_prd.core.C00 but it is v52.0.101. it was renamed for 'use ini' in JAF to function properly. just delete every v52.0.007 core in your PC just to be safe. v52.0.101 core + uda [binh24] - core filename is RM-356_52.0.007_prd.core.C00 but it is v52.0.101. it was renamed for 'use ini' in JAF to function properly. just delete every v52.0.007 core in your PC just to be safe. PNHT v52 Core + UDA [PNHT] must rename my ROFS2 to RM-356_52.0.007_prd.rofs2.V19. important: just to be safe, flash with 5800 v52 Original Firmware First including the UDA file! then flash with C6 based FW using the provided Core and UDA. You can also flash without UDA provided that you already flashed with Original v52 Firmware, just tick 'Factory Set'. ***lights when charging while the phone is off is still unsolved but its not a big deal..
1. extract to C: drive or add to rofs2 then repack. 1. delete the entire private\10282BC4 folder from rofs2. 2. extract the attached zip file to your rofs2 then repack. ***i don't know if this will work on c: drive of other CFWs specially when they are using c6 theodore rul files so the best way is to put it to rofs2. all CFW makers are welcome to integrate this little fix to their CFWs.. little credits for the work is enough. even a simple link back to this thread will do.